Jennifer Fugo is the founder of Gluten Free School and teaches gluten-sensitive women simple, savvy and empowering steps to get healthy. Living gluten-free since early 2008 after a gluten sensitivity diagnosis, she knows what it's like to feel overwhelmed by the cost and seemingly complicated aspects of going gluten-free. 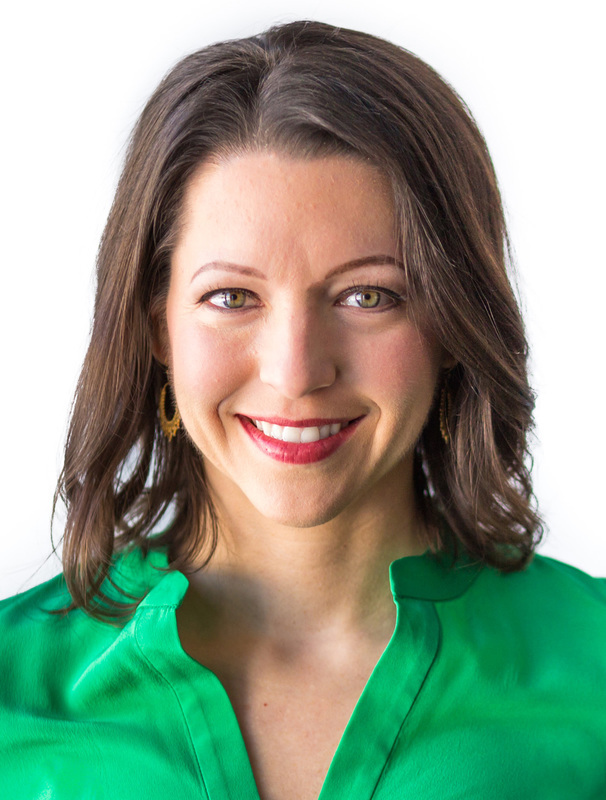 ​A sought-after expert, advocate & speaker about healthy, gluten-free living, Jennifer has been featured on Dr. Oz, Yahoo! News, eHow, CNN, and Philadelphia Magazine and was the host of the Women’s Gluten-Free Health Summit. She is also the best-selling author behind the ground-breaking book "The Savvy Gluten-Free Shopper: How to Eat Healthy without Breaking the Bank". Hudson B. “Pete” Scattergood is the Vice President, Development, at Einstein Montgomery Medical Center (EMCM) in East Norristown, PA. Prior to EMCM, he served as Vice President, Development at Montgomery Hospital Medical Center, Norristown, PA, Senior Vice President for College Relations at Ursinus College, and Vice President for Development and Public Relations at Lankenau Hospital, Wynnewood PA. He began his development career at the University of Pennsylvania (1961-1971). He is a Fellow of the Association of Healthcare Philanthropy. Scattergood received a BS in Economics and an MBA in Marketing from the Wharton School of the University of Pennsylvania. 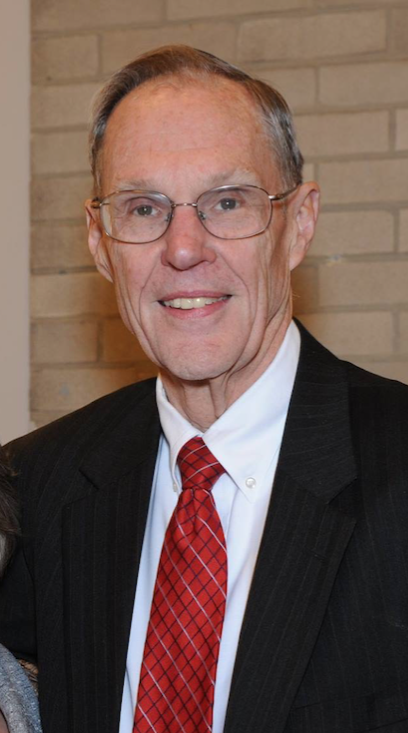 He is a board member and board President of the Montgomery County Emergency Service and an Elder and current Trustee President of Church on the Mall, the Presbyterian church in Plymouth Meeting. He was a board member of the University of Pennsylvania General Alumni Society (1975-1986) and board member (1968-1988) and President (1977-79) of the University of Pennsylvania Organized Classes. He received the University of Pennsylvania Alumni Award of Merit in 1980. Nicole has an MBA Degree from La Salle University, Philadelphia, PA. She has held a Project Manager Role for the past 6-years and voluntarily leads her company’s wellness program. As a certified yoga instructor, Nicole has always had an interest in the overall well-being (mind, body, and soul) of her community. You can find her in p...op-up classes around the Philadelphia area. Growing up on what she refers to as a “self-proclaimed” farm – her passion for sustainable nutrition to be easily available for all, blossomed at a young age. She observed that many of those around her hadn’t had the opportunity to experience farm-fresh food and thus developed biased food-preferences and many common allergies that nutritious food could help eliminate. Struggling with her own food allergies (gluten, dairy, corn, and so on) Nicole developed a personal blog to help others experiment with local-seasonal foods and turn them into a nutritious and mainly allergy-free dish. Nicole is excited to join the community and is truly passionate about educating others on food-relationships. 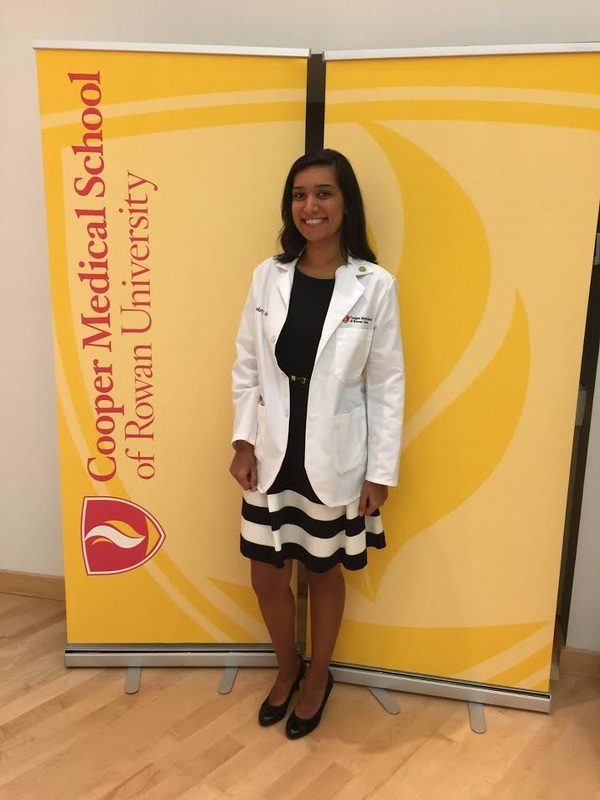 Priyanka Chugh is the founder of The Adventures of Anti-Wheat Girl and a medical student at Cooper Medical School of Rowan University. She attended New York University where she received her BA in Psychology and Johns Hopkins University where she received her MS in Biotechnology. Chef Lila Colello had a career as a pastry chef working in high end restaurants and for The Food Network before starting her own custom bakery. Two years after starting her business, she was diagnosed with Celiac Disease and worked to reformulate her recipes with the goal of making authentic ​French pastry and baked goods with the highest of standards for taste and texture. Her motto is: if it tastes 'gluten free' then she won't release it until it tastes as good (or in many times better) than its wheat flour counterpart. As the baby of ten children, Melinda or “the Bebe” as her dad nicknamed her, went through the first forty years of her life with lots of family love & support but she never felt healthy. Suffering from unexplained symptoms including migraines, stomach pains, anemia, anxiety, weight fluctuation...s, and joint pain, she was finally diagnosed with a gluten intolerance in 2010. For Melinda, this diagnosis was as a blessing, not a curse as she learned how to be gluten-free and to finally feel better. She is a Certified Health Coach, Gluten-Free Food Blogger, Healthy Gluten-Free Food Advocate and Author of the book, 3 Steps to Gluten-Free Living. She lives in Chester County, PA with her husband Jeff and two children. She travels throughout the area speaking to groups about her 3 Steps and how to keep balance in life by choosing to eat whole, clean, local and seasonal foods along with convenient prepackaged gluten-free products. A graduate of Philadelphia University, Kim earned her degrees in International Business and Marketing and a Cértificat de Français from Sorbonne University, and International Relations from American University, both in Paris, France. She has worked in Paris and is fluent in French. She has also traveled extensively throughout Central and South America. Kim has over 20 years of professional fund raising experience. Her primary concentrations have been on higher education, political campaigns, and social agencies. She has served as a congressional assistant and political consultant to two state senators and a member of the U.S. House of Representatives. 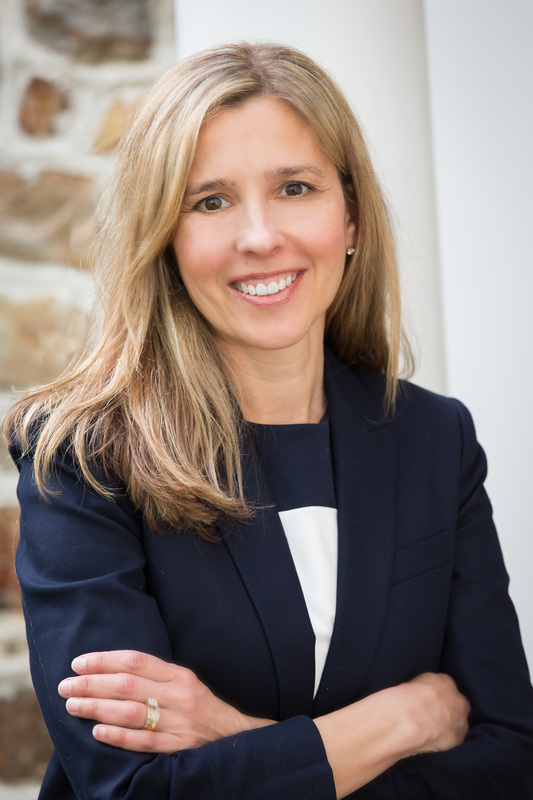 Kim served on the Board of Directors for Casa Guadalupe, an organization who serves the Latin and Hispanic populations of the Lehigh Valley and Haven House, an organization focused on providing mental health services. She provided the fund raising leadership for both organizations. Kim has presented at numerous professional fund raising conferences and is active in the Association of Fundraising Professionals (AFP). Under her direction as the Director of Development for Beyond Celiac (formerly the National Foundation for Celiac Awareness), the foundation has established a multi-million dollar Endowment Fund, secured funding for a national family testing campaign and an international Research Summit in 2015. In August 2016 Kim returned to Higher Education and now serves as the Senior Director of Development for Chestnut Hill College. This role allows Kim to bring her non-profit experience to a new team of fundraisers in a time when small colleges are looking for new ways to increase revenue and bolster the admission rate. Happy to be back working with students, Kim is keeping her hand in the field of celiac disease by working with The Rachel Way and continuing to volunteer for Beyond Celiac. Jessica grew in up in the Hudson Valley, NY. Food was the center of her life and her fondest memories are those surrounded by her family. Jessica graduated from Siena College in 2008 with a Bachelor's Degree in Biology. During her 4 years at Siena College, she helped establish the Center for Women which still exists today. She took full advantage of life's opportunities and studied abroad in Tuscany, Italy, where she fully immersed herself in the culture by living with an Italian family, becoming first aid certified and working as a volunteer first responder. In 2010, Jessica went on to complete a Master's Degree in Health Science and Physician Assistant Studies at Drexel University. She's been practicing medicine in the hospital setting for seven years. Jessica founded Eat Your Way to Wellness, LLC in 2016. She and her team help people lay the framework for a healthy and delicious life. Jessica's profound knowledge about how food affects the human body has allowed her to share information on a personal level with her clients, and also on platforms like television, radio, and social media. GlutenAway was started 4 years ago by Taylor Miller, a teenage gluten-free blogger with celiac disease. ​"Since getting diagnosed with celiac disease at age 13, it's always been a passion of mine to help others who deal with the same struggles as I do. I know that families, kids, and teens all deal with some sort of adversity when going gluten-free. That's why I started my blog as a teenager to share my experiences and show that if a teen can do it, so can you." Rabiya Bower, RD, LDN received her B.S. in Nutritional Sciences from Penn State University and completed her Community-focused Dietetic Internship at Cedar Crest College. She is the in-store nutritionist for the Giant Food Stores in Flourtown, PA where she offers free nutrition counseling and classes. She loves working with children and teaching them essential life skills in the kitchen, as well as encouraging them (and sometimes their parents!) to try new foods. Rabiya is a "non-diet" dietitian and helps people establish healthy and nourishing relationships with food. As a fierce advocate of body positivity and the Health at Every Size® movement, she feels most rewarded when she helps someone learn how to eat well and create healthy habits that focus on holistic wellness and overall well-being. ​Nancy Patin Falini, MA, RDN, LDN is a registered and licensed Dietitian Nutritionist. Upon completing her thesis in Celiac Disease she became a pioneer in establishing a private practice specializing in Celiac Disease and gluten-related disorders. She’s provided individual and family nutrition counseling for adults and children for over two decades. She has lectured nationally, authored a book, book chapters, as well as co-authored research on medication and gluten, and numerous other literature. She has trained dietetic interns, taught as an adjunct professor at West Chester University, teaches an annual one-day course on Celiac Disease at the Philadelphia College of Osteopathic Medicine (for the entire second year medical students) and is currently seeking a certificate in Integrative Functional Nutrition Therapy. Elizabeth Miles holds a bachelor’s degree from St. Joseph’s University, and an MBA from Keller Graduate School of Management. 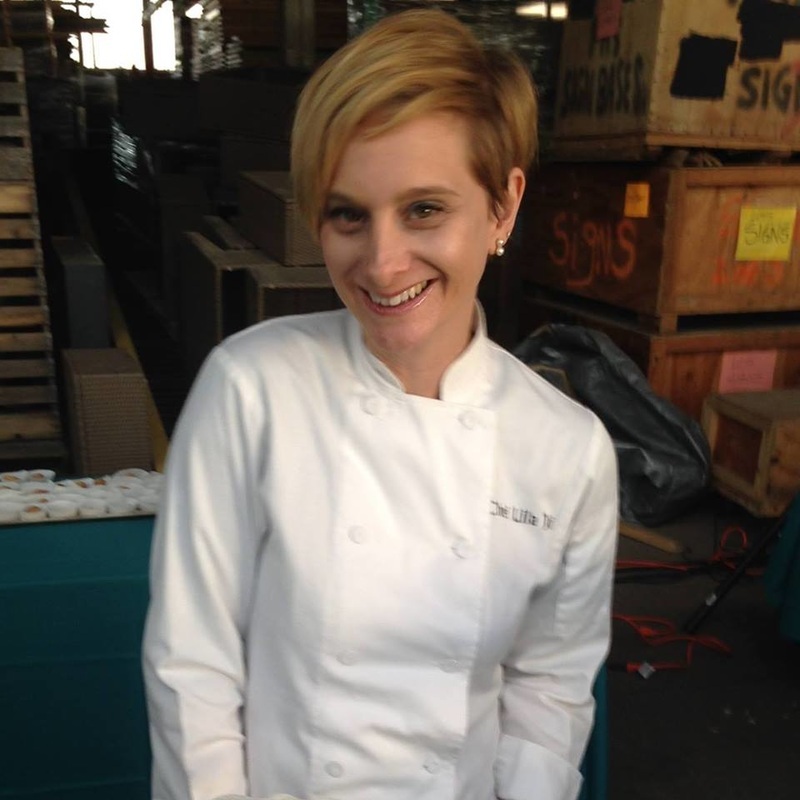 Though she didn’t complete her culinary education at The Art Institute of Philadelphia until 2012, Elizabeth developed a love for baking as a little girl, cooking alongside her grandparents. And she always had a dream to open her own bakery. In October 2016, Elizabeth launched Sweet Ladybug Baked Goods, offering an entirely gluten-free menu, with items being made completely from scratch, using as few ingredients as possible, and locally-sourced ingredients when possible. As a mom of 4, with a child who is very sensitive to gluten, Elizabeth wants to let everyone know that they can still have a delicious and satisfying treat while living gluten-free. Elizabeth believes that food has the power to bring people together, and is a tool to create lasting memories. Gluten-free cooking and baking can, and should, taste amazing, so that everyone can enjoy the same meal or dessert and still be satisfied.